Compare rates from the top final expense companies. Instant quotes for non-med, no exam whole life. Blazing fast final expense rating software. Developed by insurance agents for insurance agents. Quotes for guaranteed issue life insurance. Export quotes to PDF, Excel and Word formats. Save your final expense quotes. Built-in Lead Management and CRM. EZ mobile quotes for your smart phone. eMail and print professional quotes. 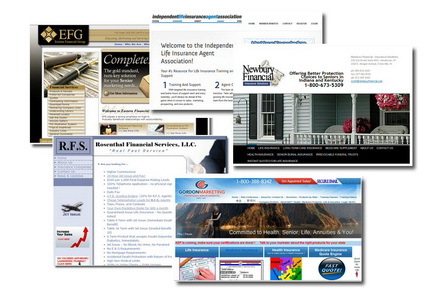 Add a Final Expense Quoter to your website. Website quoting with lead capture. Free Final Expense Leads and Resources. 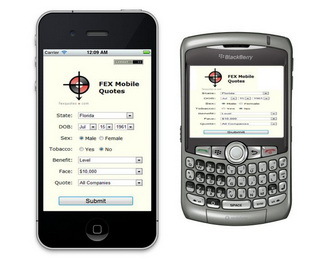 FEX Quotes is an indispensable tool for our business. I have used all the quoting services available and FEX Quotes are the best at what they do. Since using the service our Final Expense sales have increased tenfold. I highly recommend them for anyone looking to increase their online leads. The Final Expense Quote engine has really had an impact on how we do business. Now that we have the Final Expense quote engine, we are able to produce quotes in a fraction of the time and can address the built in objection that most prospects have, "I still want to shop". If you can show them that you have done the shopping for them, you are in a position to immediately close the sale. Finally!! A well-designed, easy-to-use, final expense quoting software. As an IMO centered around the final expense marketplace, we have already seen an increase in the percentage of cases sold. In part, because this software eliminates the common objection, "I want to shop around". Thank you FEX for building such a comprehensive, feature-rich program! After trying several different methods to find the most efficient way to run quotes while in the field as a producing agent, NOTHING has been able to compare to the efficiency that FEXQUOTES.COM provides. I am able to instantly quote as many or as few carriers as I choose with a few clicks of the button. FAST, EASY, EFFECTIVE! Your quoter has really helped my business. I admit, I'd probably struggle without it. Keep up the good work! Wonderful quoting software. This is a tool I use everyday in the field. Having been in the insurance industry for 13 years I wish I had run across this application a lot sooner! Imagine sitting with your client and having pricing access to all of your carriers all at once, right at your fingertips. It also allows you to text the quote to the client, instantly. An indispensable tool, Highly recommended!! I have been selling insurance since 1972 and your final expense quote engine is the most cost effective tool of it's kind that I have encountered in my 40+ years in the business. It has been an outstanding asset to my business. Since I put it on my website, I am averaging 4-5 new leads a week. This has definitely paid for itself and is well worth the small monthly fee you charge. I truly want to thank the people at FEX Quotes for an outstanding piece of software. If you are an independent life agent, then I highly recommend this software. It is extremely user friendly The customer service is also excellent. I've had a few questions and have gotten prompt answers. The FEX Quote engine is simply an absolute must have sales tool. Not only does it display all the major final expense carriers, it has an excellent CRM database and lead capture feature. I really enjoy the mobile quoting on my iPhone and iPad which is great when I'm out of the office. 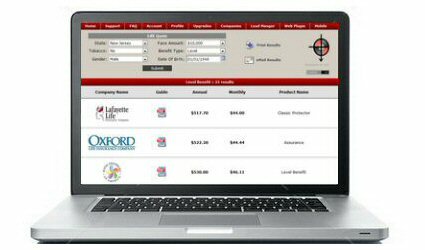 This is a very impressive sales product for selling final expense life insurance. I have been selling final expense successfully for over 15 years. I know the companies rates and underwriting like the back of my hand. I didn't really believe FEX Quotes would be much help to me - I was wrong. This quoter saves me time, makes me more efficient and professional and best of all helps me make additional sales and more money as a result. No FE agent should be without it. Last night I went to see a couple who said they recently purchased insurance, but were willing to see if I could do better for them. When I got to the house they showed me what they bought along with a printout from FEX Quotes! Needless to say, I couldn't help them but I did discover some new companies and FEX Quotes. As the old saying goes, if you can't beat them, join them - thank you FEX Quotes! This is a great quote engine. This really knocks it out of the park when speaking with potential clients. The "proof is in the pudding" as they say and this lays it all out there for them to see with their own eyes. This clears it all up. Simple is good. For anyone looking into a final expense quoting system, look no further. You are looking at it! I never wrote a testimonial for anything before, but your service really deserves to be recognized. In short, this is an amazing tool that has made my job so much easier. I can tell within seconds what to quote a client with extreme confidence. Fumbling through manuals and second guessing are a thing of the past. You guys have done a great job with FEX Quotes. FEX Quotes has been essential to the success of 3G Fidelity. First and foremost FEX has made it so simple for an agent to shop various carriers and show the results to the client instantaneously. FEX Quotes reduces quoting to minutes versus hours familiarizing yourself with different rate sheets. We love our relationship with FEX Quotes. The FEX quote engine is a genuine treasure. It saves time and provides me a comparison tool of the many carriers through the agent guide link. Thank for the service. You have a fantastic quoting tool and even better customer service. Without any hesitation I can say the FEX system is the best thing I ever purchased for my insurance business. I have your link on the first screen of my iPad and I call it my secret weapon. It was nice speaking with you today, and I so much appreciate your patience and understanding with the fact that the trouble that I experienced with the FEX Quote site was due to my "user error". Now that I have figured it out, all I can say is WOW! The efficiency and functionality of the quote engine is simply amazing and very useful in giving me a tool to use while helping protect families by showing them the best rates. I just wanted to say thank you for implementing the limited pay options on the quote engine not only on the level benefit but on the graded/modified as well. Today alone I was able to write two policies based on a quick 30 second glance at the engine instead of calculate the different pricing between life pay and limited pay. I use the quote engine with every presentation to make sure that I am absolutely giving the best quote for the right prospect. Your quote engine has definitely helped increase my final expense production. My clients are very impressed that I can show them everything that is available to them. For the impaired risk client it is even better. Many of them don't think they can get insurance without a medical exam and paying and arm and a leg, but I can show them all the different plans in black and white. Very well done - Thank you! You have a great service and very easy to use quote engine. I appreciate the amount of work put into your site and I really enjoy the convenience of getting rates for dozens of final expense plans. From the moment I saw the demo I was hooked. Your quote engine is a must have for any agent or broker who is serious about selling final expense policies. The best part of the quote engine for me is the printouts. I print every quote I run so when I meet with a client I can show them how I shopped for them. They feel like I am not just selling them a policy, but am offering a profesional service. Your quote engine is great service for selling final expense. Even an old timer like myself who is not the best computer user can use this very easily. It definitely makes selling final expense life insurance a whole lot easier. I have already told other agents about this great service. The final expense quote engine has paid for itself at least 20 times over! I use it on a daily basis and find it to be an indispensible tool for my sales efforts. I *love* using it on my iPhone. Having all the companies rates at my finger tips is simply amazing. I would definitely recommend this quote engine to anyone who wants to write more final expense policies. Your quote engine is a real winner. It saves me a lot of time and I work much more efficiently not having to wonder if I got the correct premium. I am looking forward to putting this on my new website once it's done. Thanks a bunch! The FEX final expense quote is worth every dime and more. I can honestly say since I have been using this program my sales have definitely increased. Rating policies is no longer a chore and my desk is also a lot neater too. I want to thank you for your help and patience getting this to work on my new phone. I'm not a very technical person, but it really is very simple and easy to use. I have already written 4 new policies that were a direct result of using the FEX quote engine. I highly recommend your service to all agents that need fast and easy rates for writing final expense insurance. All I need now is some more leads and there will be no stopping me. The FEX quote engine is a real gem. For me it's not about comparing prices as I only write final expense with two companies. The real value is being able to get rates quickly and easily. Being able to email and print quotes is a huge bonus. At this price point, every agent should have this in their tool bag. One sale pays for itself with change left over!